When my co-director Nicole Castillo and I announced we were making Forgotten Plague in summer 2013 with a Kickstarter project and a USA Today article, we were instantly bombarded by messages. Many people gave money, and others gave us things even more valuable: advice, connections, ideas, and perspective. Yet many gave us something even more valuable. They gave us their dreams. Most people suffering from ME/CFS are disabled. 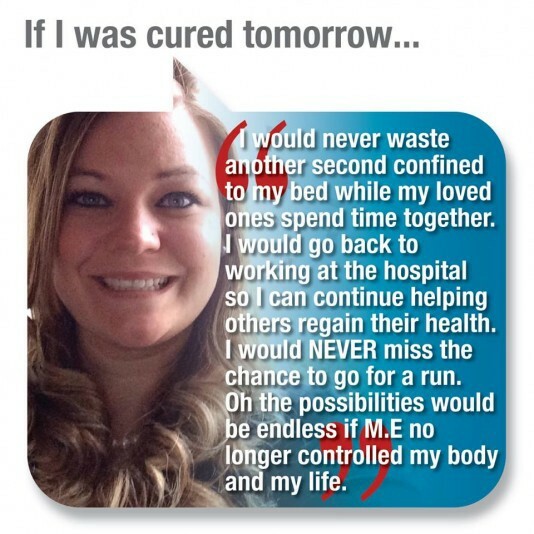 Essentially all people with ME/CFS have had to give up a dream they cherished. People who had for decades felt voiceless felt like they had a voice through our film. To help cope with the inbox overload from patients all over the world, we created several forms on our website, to help process our most frequently received types of messages. 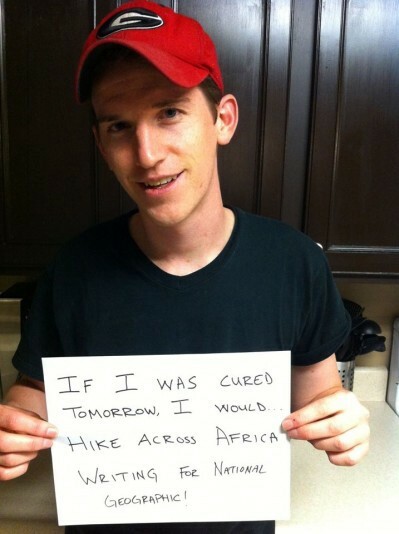 I kicked off the series with my own dream deferred: “If I was cured tomorrow, I would hike across Africa writing for National Geographic.” And the answers kept pouring in. 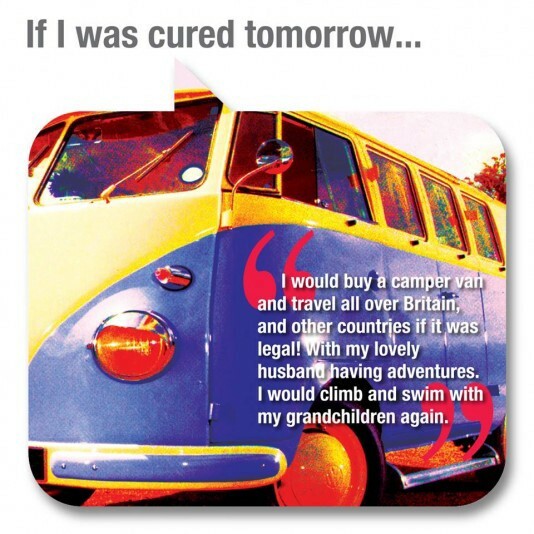 For the past few years, people have filled out the form, “If I was cured tomorrow, I would…” and the submissions are e-mailed to our volunteer graphic designers in the UK, who then create the image and upload it to our Facebook page. One of the keys to great Facebook marketing is to have quality user-created visual content that is insightful, yet pithy. People re-share these images because they express a core truth about their lives, about both their expectations and their limitations. 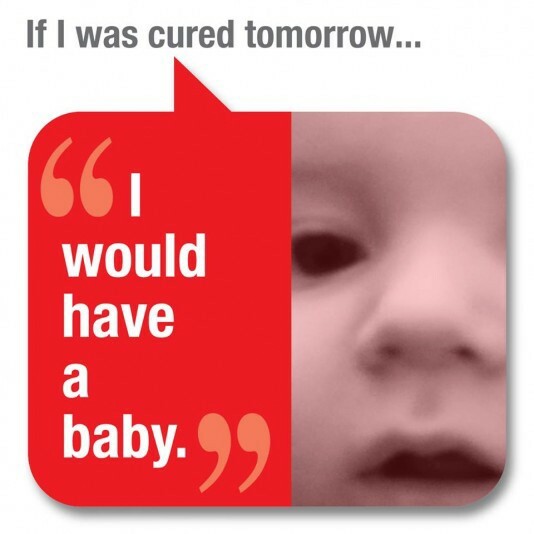 These images help explain an unexplainable disease not just to skeptics, but to the sympathetic as well. At its core, ME/CFS is a physical disease with a biological cause, likely hidden in the intricate workings of the mitochondria or the immune system. Yet many still mistake its prominent symptoms of fatigue for clinical depression, while all the while study after study shows that ME/CFS patients’ mental health remains stable even as physical health declines. A classic depressive loses track of his or her interests, goals, and dreams. ME/CFS patients, on the other hand, become ever more obsessed with them. Most of the images our designers share garner hundreds of likes, dozens of shares, and generate lively comment discussions among those eager to share their dreams as well. The dreams reflect a universal human striving, of people yearning to fulfill their purpose and to live the lives they’d planned before a cruel disease stole everything they held dear. A failed marriage. Being fired from a job. Losing the ability to care for one’s kids. Or have kids at all. Some of them are extravagant and involve throwing epic parties or traveling the world. Others stop you in your tracks for their sheer humility. Some people’s greatest hope is to simply spend an uninterrupted afternoon with their family or to buy their own groceries. One of the dreams I hold most dear comes from Anil Van der Zee, a former ballet dancer living in Amsterdam. Formerly a high performer of great physical prowess, he now lives a life greatly diminished. Sensitive to light, he spends his days in darkness and goes months without speaking to a soul. Anil took it upon himself to organize our Amsterdam premiere. 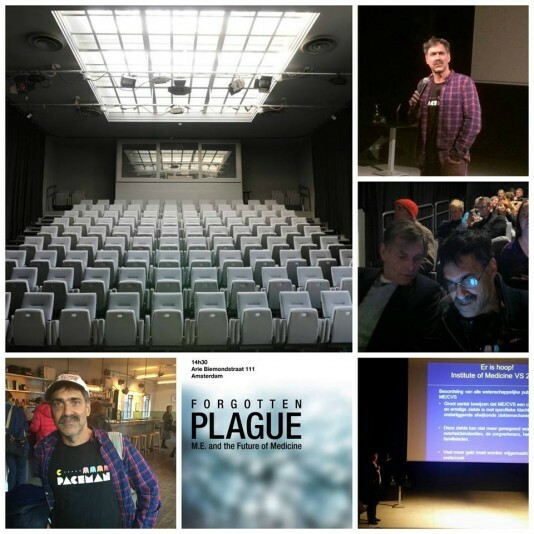 Lacking the strength to use his computer for even a few minutes at a time, and unable to leave his apartment at all, Anil organized a sold-out screening at the Lab111 Theater in Amsterdam. He even recruited renowned investigative journalist David Tuller, who has written for the New York Times, to come all the way from Berkeley, CA to speak at the post-screening Q&A. It still devastates me that Anil was too ill to attend the sold-out Dutch premiere he orchestrated. Facts like that remain the central irony of the ME/CFS struggle. This is a disease at nearly disadvantage in the medical system: no FDA-approved treatment, no universally accepted bio-marker, little government money earmarked for research, and a profound lack of available information taught in medical schools. Talented, good-hearted men and women like Anil are flattened by it every day, and left to live meager lives, hand-to-mouth. Yet they remain positive, ambitious, and forward-thinking. They give what tiny store of energy and ability they have to forge a better life for themselves and for their fallen brothers and sisters. And on the day of their triumph, they won’t gaze on the fruits of their labor with their own eyes, for their eyes are too fragile to take in the flickering colors in the darkened cinema, and even if they could take it in, their bodies can’t carry them the few steps to the car to ride to the theater. There are days when I am flooded with pride when screenings of our film pop up in Switzerland or the UK or Australia, or when we are translated into Spanish or Italian or Norwegian. There are days when my ego is stoked by a “Must See” review in the Huffington Post, or a private screening for scientists at the Centers for Disease Control, or an invitation to give a speech to legislators. Those days I feel I’ve achieved my dream, though I am not hiking across Africa writing for National Geographic, I did get to travel America making a film and I get to continue my work of being a voice for the voiceless. Having my face in newspapers still gives me a certain thrill, but my heart will not stop aching for those who are suffering. Success for me isn’t a line of a resume or my name in lights. Success is in bringing into the light the hardship and toil of those like Anil who live in perpetual dark. 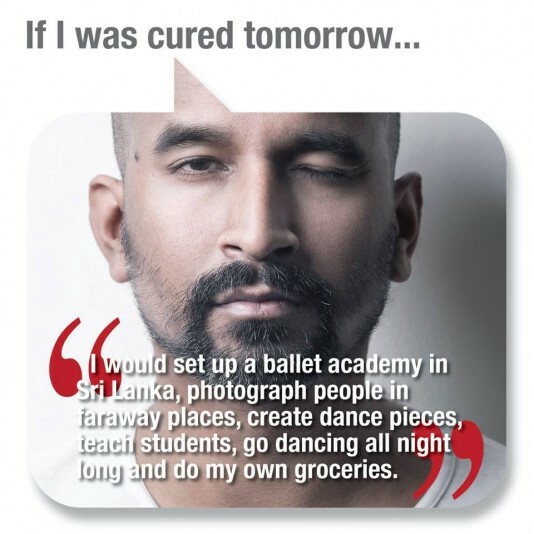 Some day soon I might stride the avenues of Amsterdam and wander into a grocery store and pick up a few things for a man named Anil, who still dreams a mighty dream of opening a ballet studio in Sri Lanka and that one day he might just be able to buy his own groceries.